Emanuela Ceva received a PhD in Political Theory from the University of Manchester in January 2005 with a thesis on Procedural Justice and Pluralism (supervisor: Prof. Hillel Steiner). Before that she graduated in Philosophy at the University of Pavia (2000) and completed her MA in Political Philosophy (The Idea of Toleration) at the University of York (2001). In 2017, she received the Italian National Qualification as a Full Professor of Political Philosophy. Emanuela Ceva is Associate Professor of Political Philosophy at the Department of Political and Social Sciences of the University of Pavia where she teaches Political Philosophy and Public Ethics. While she has been working at Pavia since 2005, she has held also several international positions. These include fellowships or visiting positions at the University of Jordan, the Center for Human Values of the Princeton University, the Technische Universität Darmstadt, the Nuffield College (Oxford), the Ural Federal University, the Hitotsubashi University (Tokyo), the University of St. Andrews, the Centre de Recherche en Étique de l’Université de Montréal, and the University of Kent. In Spring 2016, she held the 'John Stuart Mill' Visiting Chair in Social Philosophy at the University of Hamburg. In 2018, she was Fulbright Research Scholar at the 'Edmund J. Safra Center for Ethics' of Harvard. In 2019, she will be Senior Visiting Fellow at the Research Centre in Political Philosophy of KU Leuven, Visiting Scholar at the Blavatnik School of Government (Oxford) and Visiting Fellow at the Centre for Applied Philosophy, Politics & Ethics of the University of Brighton. She is the author of Interactive Justice (Routledge 2016) and (with Michele Bocchiola) Is Whistleblowing a Duty? (Polity 2018). Her many articles have been published in such journals as Journal of Political Philosophy, Political Studies, Journal of Applied Philosophy, European Journal of Political Theory, CRISPP, Politics, Philosophy & Economics, European Journal of Philosophy, Journal of Social Philosophy, Social Theory and Practice, and Philosophy Compass. She has also guest-edited numerous journal symposia and published three edited collections on themes of justice, legitimacy, diversity, and toleration. She is an Associate Editor of the journal Ethical Theory and Moral Practice and a member of the editorial boards of the journals Res Publica, Human Affairs, Il Politico and Notizie di Politeia. She was the Scientific coordinator of the European research project RESPECT (FP7 - http://www.respect.iusspavia.it/) and PI in the research project 'Feeding' Respect. Food Policies and Minority Claims in Multicultural Societies (http://feedingrespect.wordpress.com) funded by the Italian Ministry of Research. Since 2016, she's a member of the steering committee of the Italian Society for Political Philosophy and co-convener of the Political Theory Specialist Group within the European Consortium for Political Research (ECPR). 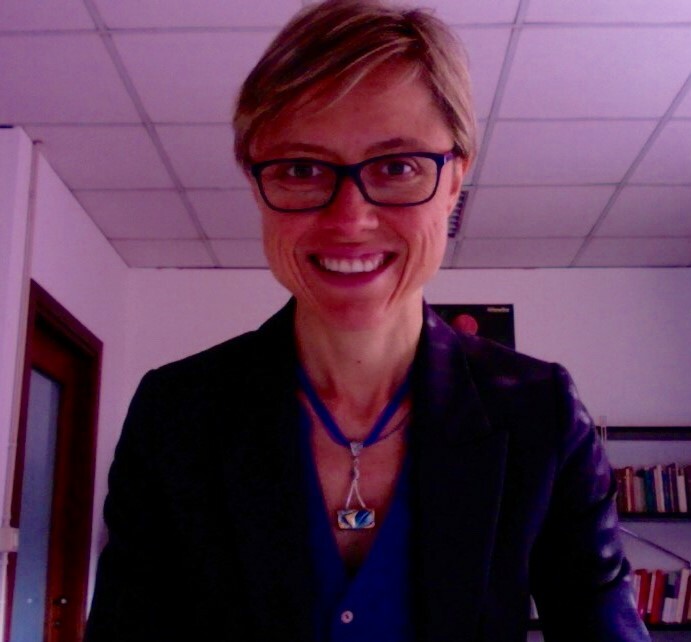 She is the founder of the Pavia Graduate Conference in Political Philosophy (which she has organized with her Departmental colleagues since 2003 - http://www-4.unipv.it/paviagc/?page_id=16) and, since 2006, the convener of the seminar series I Mercoledì Filosofici del Maino (https://mercoledifilosofici.jimdo.com). Over the years, she has also helped organize a number of well-known international workshops and conferences at Pavia including the Seminario Permanente di Teoria Politica. She has presented papers as an invited speaker at a number of events at Universities across Europe, North America, and Asia including London School of Economics; Oxford; University College London; Kent; Sciences Po and École des Hautes Études en Sciences Sociales - Paris; Amsterdam; Pompeu Fabra - Barcelona; Université de Genève; Bayreuth; European University Institute; Harvard; Northeastern University; McGill University - Montreal; Hitotsubashi - Tokyo. Emanuela Ceva's field of research is analytic political philosophy. Her interests include questions of political obligation and dissent, theories of democracy and equal respect, political corruption, and issues of value conflict and justice. She is currently developing two main lines of research concerning (1) the value of democracy and (2) the wrongness of political corruption and the ethics of anticorruption. Both lines of research share an emphasis on the study of the normative properties of the terms of interpersonal interactions as a locus of justice irreducible to the quality of the outcomes of those interactions. Is Whistleblowing a Duty?, Polity, Cambridge, 2018 (http://politybooks.com/bookdetail/?isbn=9781509529650⊂ject_id=2), with M. Bocchiola. *Reviews: Notre Dame Philosophical Reviews (http://ndpr.nd.edu/news/68265-interactive-justice-a-proceduralist-approach-to-value-conflict-in-politics/); Ethical Theory & Moral Practice (http://rdcu.be/ksUW). **Italian translation: La giustizia nelle interazioni, Giappichelli, Torino, 2017. "Personal Trust, Public Accountability, and the Justification of Whistleblowing", Journal of Political Philosophy (with M. Bocchiola), https://onlinelibrary.wiley.com/doi/abs/10.1111/jopp.12170. "Responsibility for Reason-Giving: The Case of Individual Tainted Reasoning in Systemic Corruption”, Ethical Theory and Moral Practice, 21(4), 2018: 789-809 (with L. Radoilska). "Political corruption", Philosophy Compass. 2017;e12461. https://doi.org/10.1111/phc3.12461 (with M.P. Ferretti - download: http://onlinelibrary.wiley.com/doi/10.1111/phc3.12461/full ). "Political Corruption, Individual Behaviour, and the Quality of Institutions", Politics Philosophy and Economics, 17(2), 2018: 216–31 (with M.P. Ferretti). "The Legitimacy of the Supranational Regulation of Local Systems of Food Production", Journal of Social Philosophy, 46 (4), 2015: 418-33 (with C. Testino, F. Zuolo). “A Matter of Respect. On majority-minority relations in a liberal democracy”, Journal of Applied Philosophy, 30(3), 2013: 239-53 (with F. Zuolo). ***Featured article on the European Consortium for Emergency Contraception webpage (http://www.ec-ec.org/barriers-to-accessing-ec-in-italy/). “Just interactions in value conflicts: The Adversary Argumentation Principle”, Politics, Philosophy & Economics, 11(2), 2012: 149-70. “Values, Diversity and the Justification of EU Institutions”, Political Studies, 57(4), 2009: 828-45 (with G. Calder). A full list of publications is included in the CV above.